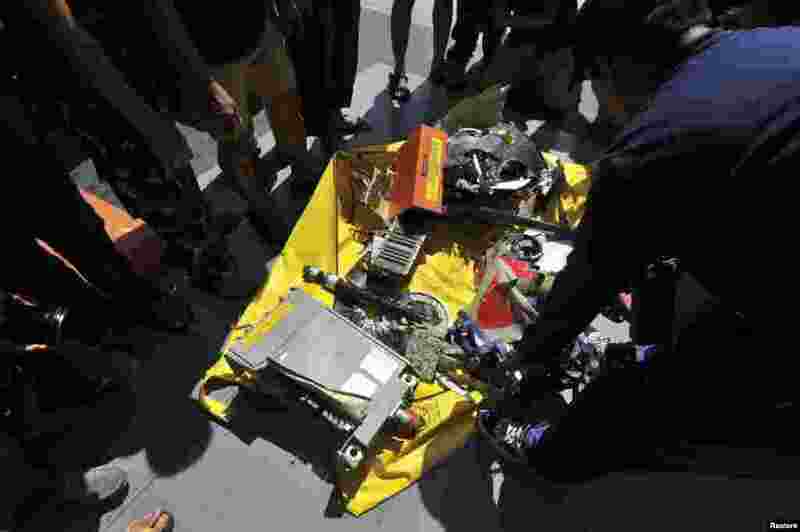 Indonesian divers have now retrieved both flight recorders, or "black boxes," from the AirAsia jet that crashed into the Java Sea last month, killing 162 people. 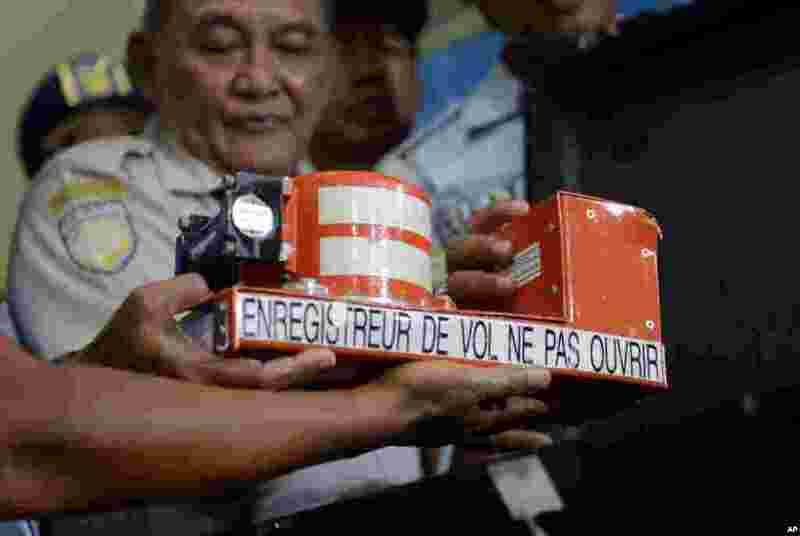 1 Head of Indonesian National Transportation Safety Committee Tatang Kurniadi (center) shows the newly recovered cockpit voice recorder from the ill-fated AirAsia Flight 8501 during a press conference in Pangkalan Bun, Central Borneo, Indonesia, Jan. 13, 2015. 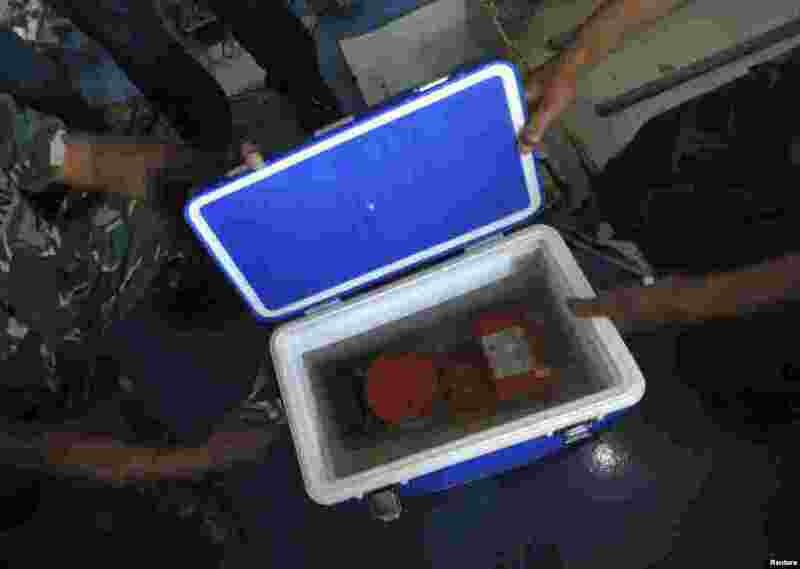 2 Indonesian soldiers show the cockpit voice recorder of AirAsia 8501 on the deck of KRI Banda Aceh, in the Java Sea, Jan. 13, 2015. 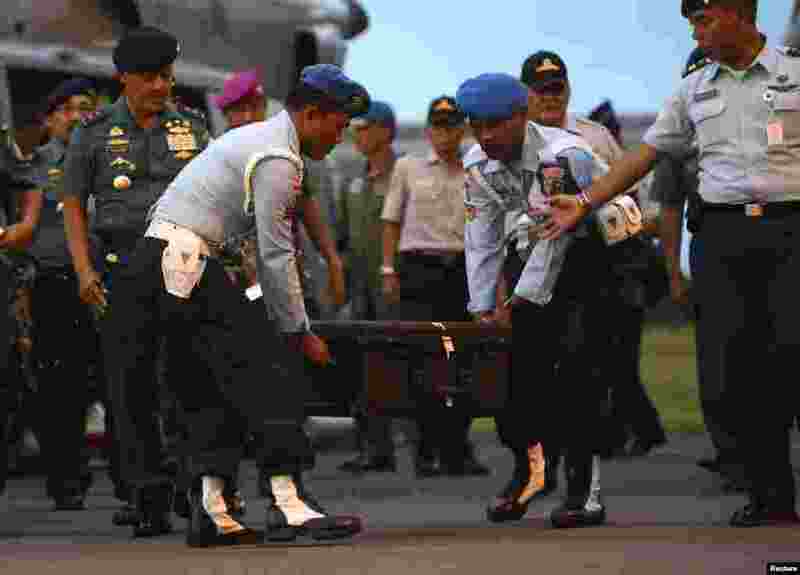 3 Indonesian Air Force soldiers carry the box containing the cockpit voice recorder of AirAsia 8501 at Iskandar Airbase in Pangkalan Bun, Central Kalimantan, Jan. 13, 2015. 4 Indonesian soldiers stand near parts of AirAsia 8501 on the deck of KRI Banda Aceh, in the Java Sea, Jan. 13, 2015.